@Radiant: I'm away from my workstation right now, but have you tried to build Janet's 'osx-nick' branch? It built fine for me on Sierra with the latest Xcode. The trick for me was building the libraries using Terminal properly. If you can get it to build, it might help narrow down your header/search path issues. I was using the main AGS branch so far, I'll give Janet's branch a shot. What do you mean by "using Terminal properly"? Gah, sorry. Back at my workstation now. To clarify, I meant that I needed to build the libraries properly in the /buildlibs folder, and I had to do it from within the Terminal. Quick update: I have AGS 3.4.1.11 working successfully. I had to modify a few of Edmundo's steps to get it working on my machine. There are many issues with getting it working, thankfully there are workarounds. Ok, so far so good. Brew install etc etc reported nothing new was required. Xcode reset gave no response, which I take to mean 'no errors' Linux-style. Now running make install. Great, thanks everyone for your help. I have a few questions though. If a game has a (filename).001 file with extra rooms and such, can I just add this to the ags/Resources folder within Xcode? What about .TRA translation files? The OSX version doesn't appear to have acsetup so how do I set a translation? Finally, does this support the AGSteam plugin and if so, how? Currently running an AGSteam game aborts with an unresolved import. Hey Radiant! Did things eventually worked out for you? We've got a Discord group that's working on it. I'll have to test the current build this weekend. Did you had to fork and do new stuff to get it working? Are your modifications public? I am.going to start messing with OSX build soon. Can it run plug-ins? I was interested into trying to add joystick support. So far I'm running off a clone, not a fork. I haven't figured out how to use plugins yet. It would be easiest if you PM Edmundito and ask him to add you to the Discord channel, we're discussing it there. HTH! Seems as the 2 possible options for supporting mac long term are either metal or vulcan using moltenvk (and of course supporting vulkan should give performance benefits on all platforms whereas metal is apple platforms only). Seems as the 2 possible options for supporting mac long term are either metal or vulcan using moltenvk (and of course supporting vulcan should give performance benefits on all platforms whereas metal is apple platforms only). Hopefully we won't have to do that ourselves; when we switch to SDL we just use whatever it supports. It's still a bit of a mess, but I got a working build of a game project (not a real game) running on OS X High Sierra with Steam achievements. I cloned Janet's osx-nick branch and reused the WEG Xcode workspace files (and the Shivah project files). I tried to figure out how to embed a binary version of AGSteam into the app, but I kept getting an error that the library didn't exist in the final executable. So instead I followed the approach that was already partially implemented by WEG (judging by the project files and the lack of an existing port of AGSteam to Mac), and built the AGSteam source directly as part of the project files. Took a bit of knackering about as I've never used Xcode (or even OS X) before, but it definitely is working. I will try to make a more detailed post of what I did after I try to abstract it out of the WEG files. That's great news, Monkey! Thank you for doing that! Hi guys i was able to start my game on ios with janet branch on 3.3.3, any news about 3.4 or 3.4.1, it was a mess to downgrade my game. edit: i know that the post is for mac but i read some interesting things. 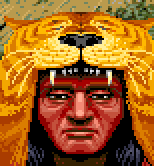 Hey, if anyone out there is interested, I'd really love to port our games (Quest for Infamy, Order of the Thorne and our upcoming QFI:Roehm to Ruin) to Mac. Get in touch with me if you're interested. I could use the help with this kind of thing.